Father’s Day is right around the corner. How will you show your dad this year that he is – and always will be – your personal hero? Sure, Dad can always use another tie or golf accessory or “World’s Greatest Dad” mug, but if you want to give him a gift that really shows that you’ve put some thought into it, engraved jewelry is the perfect way to personalize your Father’s Day gift and show Dad just how much you love and appreciate him. To be honest, moms are easier to shop for. Mom is always delighted with new jewelry for Mother’s Day, or any occasion. But we tend to forget that dads love (and deserve) nice jewelry, too, and there are plenty of Father’s Day gift options in this category to suite Dad’s personal taste and lifestyle, from the simple, casual, outdoor man to the executive, and everything in between. So your search for that perfect Father’s Day jewelry gift should start with these “lifestyle” factors in mind, and then you can begin to personalize your gift from there. Choosing the particular piece of jewelry, such as a watch or men’s bracelet is the first step, keeping in mind that virtually any jewelry can be personalized with engraving, provided it has enough surface to do so. If you’re dad’s not really a jewelry guy, you can still personalize his Father’s Day gift this year with custom engraving on a variety of other items, as well. Think plaques or mock awards, desk accessories like executive pen sets, or even certain types of fishing gear. Get creative, and you’ll soon find you’ve come up with a truly one-of-a-kind Father’s Day gift that shows Dad he’s one-in-a-million. Whether you choose to go with a special sentiment or add some humor with a funny saying or an “inside joke”, engraving gives you the opportunity to tell Dad just how you feel in a gift that will remind him each and every time looks upon it. Custom engraving does require a little lead time, but there’s still plenty of time to personalize that perfect gift for Dad this Father’s Day if you get the process started now. Your local jeweler can help you to find just the item you’re looking for to suit your dad’s taste and style, and do the engraving for you on site, quite affordably. Make this the year you really “wow” him with a personalized Father’s Day Gift from the heart. Summer is a time for romance, and if you’ve been entertaining the idea of popping that big question to that special woman in your life, now’s the time to start looking for that perfect engagement ring; the one that will light her eyes with amazement and delight; the one that she won’t be able to resist; the one that she will be so proud to show off to her friends and family, and look upon fondly, each and every day, for the rest of your lives together. Before you venture out in search of that magical, life-altering piece of jewelry, however, there are some basic things you should know about diamond engagement rings; things that will assure that you’ve not only chosen the perfect ring for her to wear forever, but also that you’ve chosen wisely from an investment perspective. This is a once-in-a-lifetime event, after all, and an investment worth researching prior to making the big decision. First, it’s important to realize that engagement rings options span far beyond the premade selections you’ll find online and in the jewelry cases of your local jewelers. Though you will definitely find plenty of rings to choose from in this category, most jewelers these days also offer the option to design your own ring and, while that thought might be intimidating right at first, the process is actually very simple, and you’ll have a jewelry expert to guide you throughout the entire experience. Design your own ring options are great for a variety of reasons. First of all, you can customize your engagement ring from the diamond solitaire to the accents to the wedding band, itself. But also important is the fact that by designing your own ring, you can often get more ring for your money by choosing the center stone carefully and pairing it with a setting that maximizes its natural beauty and brilliance. To maximize this benefit, be sure to study up on what’s commonly known in the jewelry industry as “the four C’s.” These include cut, color, clarity and carat weight, and each category has an effect on a diamond’s overall value. Your jeweler can help you to pair just the right stone with just the right setting to create a breathtaking engagement ring that also fits the bill of wise investment. With summer fast-approaching, it’s a great time to clean out that jewelry box and decide what areas are ready for a little updating with a few new and trendy statement pieces. But there are also a few essential elements that no jewelry collection should be without, and those pieces will give your summer wardrobe a consistency of style that’s easy to manage, pairs well with practically any occasion and simplifies the task of accessorizing virtually any outfit. So, while you’re considering which summer jewelry trends to add to your collection, be sure you’ve got these five jewelry must-haves accounted for, as well. Simple… elegant… timeless; a pair of diamond stud earrings is THE must-have item for every jewelry collection. Diamond earrings go with literally everything from work to the tennis court to the beach to the club, and everywhere in between. 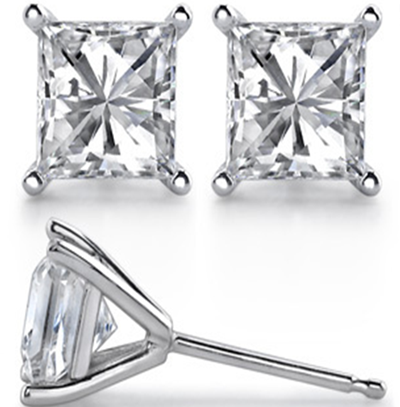 Diamond earrings are a staple jewelry accent for secondary ear piercings, and multiple pairs are recommended for those with multiple piercings. Along with this classic must-have item in your jewelry collection, consider adding some colorful gemstone earrings as well, just to mix things up in an elegant, yet very versatile, style. An ever-growing jewelry trend, layered necklaces give you the opportunity to express multiple dimensions of your personal style at once. The more necklaces you have in your jewelry collection, the more versatile your layering options become. From fun to formal, layered necklaces are a must for every jewelry armoire. Don’t forget the ankle flair. Especially for summer, ankle jewelry is a must-have to add style and sparkle to those great sandals! From big and bold to smart and simple, your bracelets are very much a part of the first impression you give. Classic gold or silver bangles and chains are a must for everyday wear. And no jewelry collection should be without the quintessential diamond tennis bracelet. Another growing trend in jewelry fashion is stacked bangle bracelets. Much like layered necklaces, stacked bracelets offer the opportunity to mix and match multiple style elements and materials, creating a style statement that is uniquely your own. The more bangles you have in your collection, the more versatile your options when it’s time to accessorize. Adding these five jewelry must-haves to your collection will ensure that you have the perfect accessories for every style, every occasion, every day. Graduation Gifts for Kids? Absolutely! Tis the season for marking one of life’s most important milestones for the many graduates of 2016. And while earning that high school diploma or college degree is most certainly an achievement worth celebrating, let’s remember our little graduates, too! Today, more and more schools are honoring students’ educational achievements along their path to higher education, with graduation ceremonies commemorating the move up from middle school, elementary school, and even Kindergarten. This is a perfect opportunity to show your little graduate just how proud you are of him or her. Graduation gifts for kids can certainly take many forms, but this is a particularly great time to begin a commemorative jewelry collection for your child. Charm bracelets are a very practical choice in graduation gifts for kids, as you can add to their charm collection to commemorate all the many milestones ahead. A charm bracelet grows with your child, even into adulthood, and they’ll be able to look back on all of life’s wonderful moments through a collection of special charms representing those achievements along the way. Engraved bracelets and pendants are a great choice in graduation gifts, as well. Custom engraving gives you the opportunity to add a very personal and sentimental touch with words of love and encouragement inscribed on the piece. As your child grows and continues to achieve new levels of accomplishment, a wonderful jewelry collection can be built that, much like charm bracelets, can be looked upon in the future as a wonderful set of reminders of life’s great moments. If you worry about investing in rings and bracelets for younger children, knowing that they will outgrow them, fear not. Most rings can be resized to a certain point, but children’s rings also make wonderful pendants down the road. Links can be added to many bracelet styles, creating a piece that will truly grow with your child into the future. Graduation season is an exciting time. Amidst all the ceremonies, receptions and parties, be sure to remember that every graduation is a milestone in your child’s life that will be recalled fondly and often. Commemorating these milestones with lasting and sentimental graduation gifts like personalized jewelry is a great way to ensure that those memories never fade, as your graduate will be reminded of their achievements – and your perpetual love and support – each time they wear it. Spring is finally here, and that means many of us are elbows-deep in our annual spring cleaning frenzies. It’s that time of year when we also look at freshening up our spring-summer wardrobes, and that should include your jewelry collection. Whether it’s a simple cleaning of your jewelry itself, or a “deep clean” of your whole jewelry box, sorting through and, perhaps, parting with a few items to justify something new, it’s time to bring that sparkle back, and even make the old new again by repurposing unused jewelry pieces into a fresh, new custom design. Keep Your Jewelry Looking Like New! Did you know that it’s recommended to have your jewelry cleaned and inspected at least once a year? And twice a year is better. While “home cleaning” of your jewelry is fine to keep it looking good in between professional cleanings, a professional jewelry cleaning is necessary to really get into all those tiny niches as well as to bring out the true shine and sparkle of diamonds and gemstones. In addition, your jeweler will thoroughly inspect the piece to ensure there are no weak spots or other concerns that may need repair to prevent further wear or loss of a stone. We all have at least a few pieces of jewelry in our collection that simply aren’t worn very often, or ever. So, what’s the point of keeping them, hidden away from the world in a jewelry box? Instead, turn that old jewelry into cash or – even better – a brand new custom designed piece crafted from the repurposed materials of your old or unworn jewelry. If your goal is simply to clear out some clutter, then you might just sell it. You can bring your old or unworn jewelry into just about any jeweler, who will appraise the piece’s value and often offer cash for jewelry on the spot. If, on the other hand, the jewelry in question has any particular sentimental value, or if you just want to get creative and add a truly unique piece of jewelry to your collection, then you might consider repurposing that old, unworn jewelry into a brand new, custom designed piece. The piece itself might simply be reworked to incorporate new stones, etc., or you might choose to have the precious metals melted down and create a new design from scratch. Your jeweler can guide you through the custom jewelry design process to repurpose that neglected jewelry into something fresh and spectacular that you’ll want to wear every day. Whether its high school, college or grad school, graduation is a big milestone for every person who achieves it, and an event worthy of grand celebration. The graduate is sure to receive many gifts meant to send them on to the next phase of life with confidence and an arsenal of tools for success. Why not make your gift stand out by adding a personal touch? Custom engraving is a great way to personalize graduation gifts, offering the graduate a commemorative memento of this momentous occasion, as well as a reminder of your own enduring love and support to be treasured for many years to come. Engraved jewelry is a classic graduation gift, and one that can be truly personalized in a variety of ways. Everything from rings to bracelets to pendants can be engraved with a personal message to the graduate. You might choose to simply have the date of graduation engraved to serve as a wearable reminder of this achievement, but you can also get more personal with words of encouragement engraved into a piece of jewelry, or a sentimental statement. A monogram engraved into a brand name watch is a great college graduation gift, sending the graduate into the professional world with style and sentimental support. Engraved picture frames and plaques are also great ways to commemorate the graduate’s achievements. It’s true, these gifts aren’t wearable like engraved jewelry, but they will make a nice addition to home décor as your graduate embarks upon this new phase of life. An engraved picture frame with a sentimental photo and personalized with an inspiring message is a gift that will be cherished by the graduate each time they see it. Of course, you might decide to commemorate this event with humor, too. Because this is a truly personalized graduation gift, the options are virtually limitless and will truly reflect the unique nature of your relationship. Don’t Forget the Younger Graduates! Younger graduates deserve recognition and appreciation of their accomplishments, too! Kindergarten graduation, grade school, middle school…each of these milestones provides an opportunity to acknowledge how proud you are of your little graduate, and engraved jewelry is a great option, as they will build a collection over time and multiple accomplishments. A charm bracelet, with a custom engraved charm commemorating each phase is a perfect choice for younger graduates, as they’ll have multiple milestones honored in a single, evolving piece of custom jewelry. Spring is here, and that means…wedding season! If you happen to be among the lucky ladies planning to marry your Prince Charming this spring or summer, first of all, congratulations! And secondly, you’ve got work to do. Planning a wedding is consuming stuff, so let us help you get one big item checked off your miles-long to-do list with this season’s hottest bridesmaids’ gifts. Bangle bracelets are always fun, and this year they’re one of spring’s hottest trends in jewelry. A chunky bangle bracelet makes a bold statement, while layering multiple bangles crafted of different elements allows for a completely custom look that you can personalize for your bridesmaids, while leaving them with a fun and stylish memento from your big day. Your bridesmaids are your best girlfriends; you’ve got stories, you’ve got history, you know one another’s secrets and passions…why not honor your special friendship with a charm commemorating a shared experience or a particular love? If your bridesmaids already have charm bracelets, add a special charm to the collection. If not, this is a great opportunity for all of you to start a new tradition. An added bonus to giving your bridesmaids charm bracelets is that you’ll always have a go-to gift for future occasions with new charms. 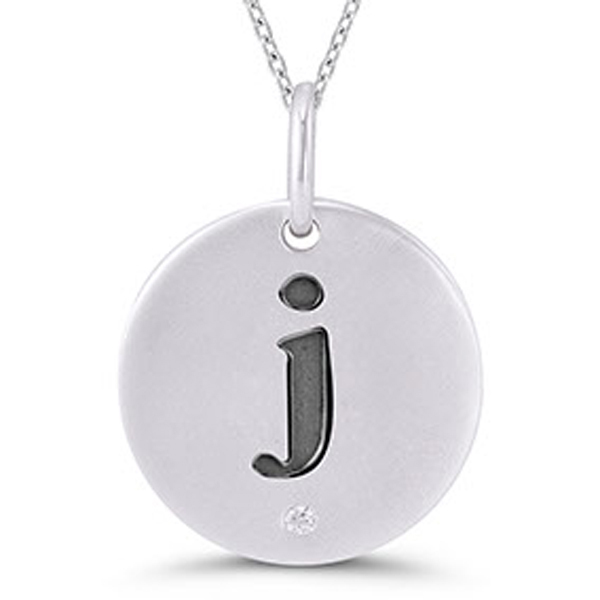 Charms and pendants are also an excellent opportunity to personalize your bridesmaids’ gifts. Custom engraving is available on a wide variety of charms, pendants and bracelets, and this is a great way to add a personal sentiment to bridesmaids’ gifts. Your best gal pals are a colorful bunch! And so adding a pop of color to their wedding day attire with a gift of fancy colored gemstones seems quite appropriate, doesn’t it? Not to mention a stylish option, as colorful gemstones happen to be another of this spring’s hottest jewelry trends. Semi-precious colored gemstones are a very budget friendly alternative to diamond jewelry in most cases, while still providing ample bling for your bridesmaids. Now, take a deep breath – that’s one more item to check off of your wedding planning to-do list. Granted, the list is still probably pretty long, but that’s what you’ve got those girlfriends for, right? The secret to successful wedding planning is plenty of help and support. So gather up your besties, get that list checked off, and thank them with a gift of jewelry. Mother’s Day is Sunday, May 8th. Are you prepared to show Mom just how important she is? It’s difficult to put a “value” on what our mothers mean to us all, but the value of a diamond is universally recognizable. Why not show Mom she’s even more precious than the most universally valued of Mother Nature’s creations this Mother’s Day, with the gift of diamond jewelry? Traditional Mother’s Day jewelry can take many forms, with the classic Mother’s ring or pendant topping the list of most desirable gemstone jewelry. 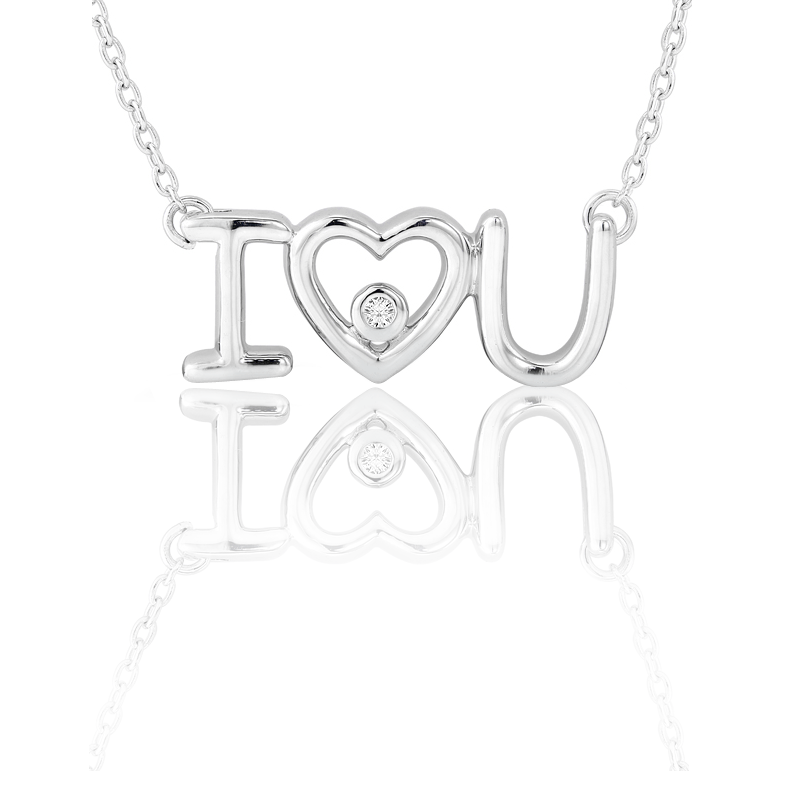 But diamonds can make a mom feel pretty special, too, especially when they come in the form of a well-thought-out and heartfelt Mother’s Day gift. Moms are renowned for their “it’s the thought that counts” philosophy. While that’s wonderful in the days of our youth, bringing home handmade cards and macaroni portraits, now that you’re an adult, she may (rightfully) expect a little more consideration. 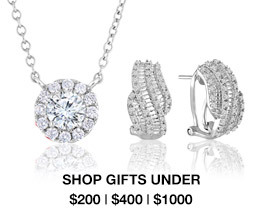 A pendant, earrings, or diamond tennis bracelet all make great Mother’s Day gifts. It’s a great idea to collaborate with siblings, if possible, to expand the budget and get Mom a truly impressive piece of diamond jewelry. If your mom’s not really the diamond type (Really?) – or if she already has plenty of diamond jewelry (Too many diamonds? No such thing…) – then you might want to consider alternative gemstone jewelry. Spring is upon us, after all, and bright, sparkling pastel gemstones such as amethyst, citrine and blue topaz compliment the season, as well as spring wardrobes, nicely. 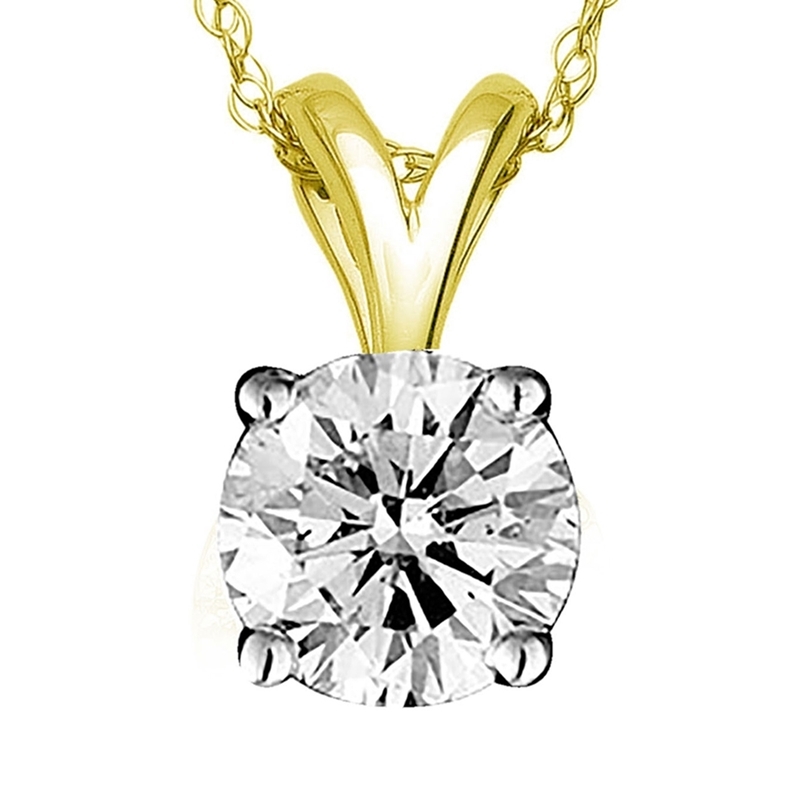 The first step is to choose a reputable jewelry store, whether that be a local shop or online. It’s simple enough to evaluate a jewelry website and research customer reviews, and know that you’re dealing with a trustworthy retailer. The next step is to step back and think about your mom. What’s her favorite color? What’s her style? Which piece of diamond or gemstone jewelry is the one that’s really going to make her face light up? Regardless, she’s going to be delighted – it’s the thought that counts, after all – but you’ll know you’ve outdone the macaroni artwork when she continually wears her new diamond or gemstone jewelry. We still recommend the handmade Mother’s Day card. After years of marriage, it can become a bit difficult to keep the spark alive. While the love you share is still very strong, how can you show the woman who has raised your children and supported you through years of career changes that she is still just as special to you as the day you bent on one knee and proposed? Fine jewelry is always a good bet but for this anniversary…make the day even more special with a diamond anniversary band. There are literally hundreds of anniversary band styles to choose from. While you might be able to find the perfect band to complement her wedding set, it is a good idea to consult your local professional jeweler to insure the anniversary band will fit correctly with her existing engagement ring and wedding band. 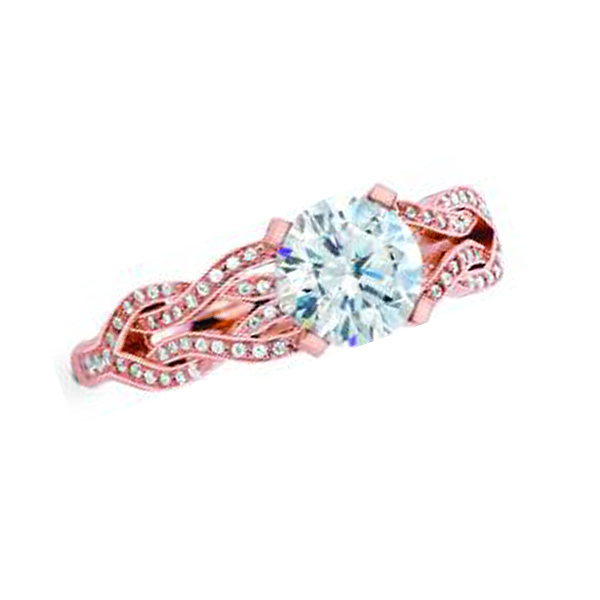 Your jeweler will be able to suggest the appropriate band styles for you. Eternity anniversary bands are a very popular style today. 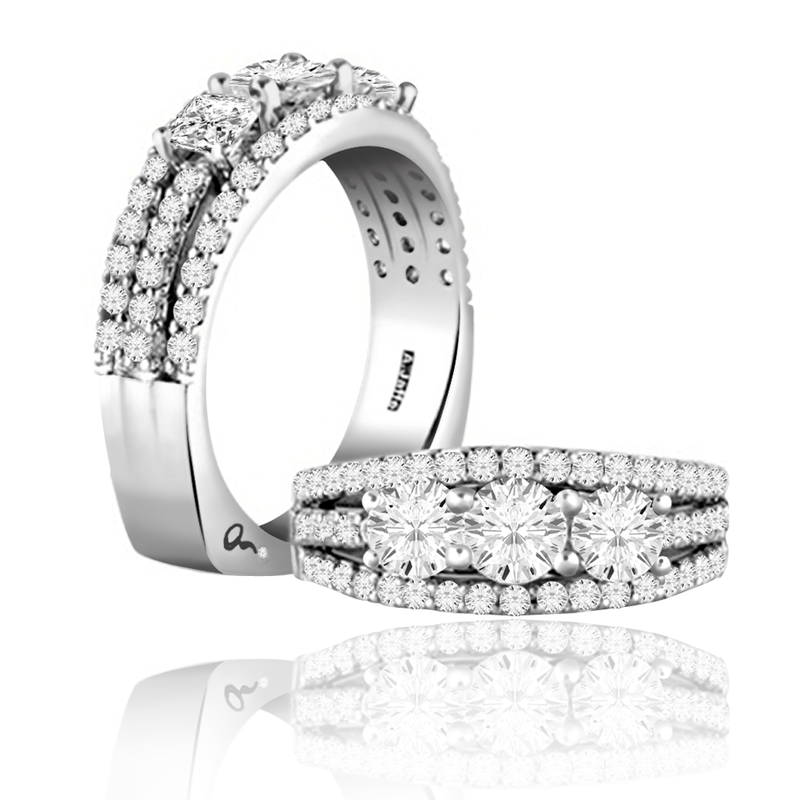 Set with diamonds around the entire band, eternity bands symbolize the many years together and the many years yet to come. Depending on your budget, eternity anniversary bands are available with a single row of diamonds, two rows and even a dazzling triple row of diamonds, any of which are sure to take her breath away. In addition to eternity bands, most fine jewelers carry a broad assortment of anniversary and wedding bands that are beautiful stand-alone rings. While many choose to wear their anniversary band on their left ring finger alongside a wedding set, others are proud to display the commemorative ring on their right hand. Most of the bands you will find at your local jeweler are certain to maintain their brilliance on either hand. While diamond anniversary bands are certainly the most popular of this type of ring, the options available vary from simple to highly ornate. It is wise to consider the taste and style of your spouse in addition to the style of her wedding set. Also consider the anniversary itself. 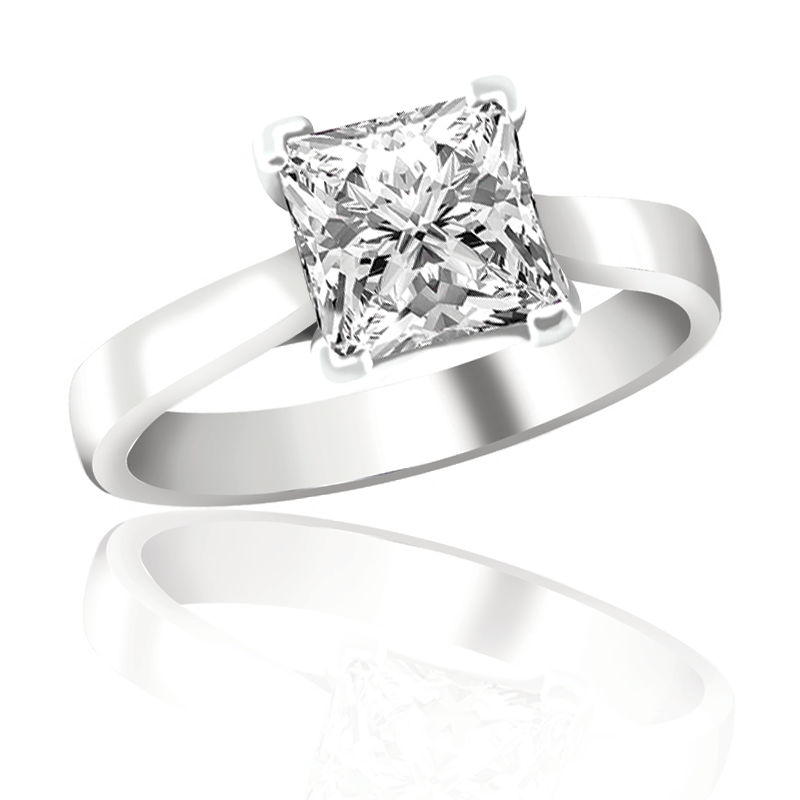 A monumental anniversary such as a 25th or 50th may warrant a ring worthy of the occasion. Fine jewelry is always a great gift idea but when it comes to marking the milestones of a lifetime together, a breathtaking diamond anniversary band could well be the gift that shows just how much she has meant to you for all of those years. We all have old and broken jewelry that we never intend to fix or wear again. There it sits, cluttering up your jewelry drawer or jewelry box, appearing to be worthless. Here is a nice surprise! Old and broken gold jewelry is like cash in your pocket! It is common practice today to get cash for gold jewelry. Gold has always been the standard by which money is based and despite fluctuations in its value, gold has been consistently the top valued precious metal in the world for thousands of years. Just because a gold serpentine chain that you wore in the 80’s is kinked and missing the clasp doesn’t mean it has no value. Getting cash for gold jewelry will show you just how valuable it can be. There are a variety of stores and brokers who give cash for gold, including jewelry stores, pawn shops and some precious metal brokers. While gold brokers may offer top dollar for the highly valuable metal, many have no interest in giving cash for gold on jewelry whereas pawn shops and jewelry stores are likely to have high interest. Shopping around for the highest bidder can offer you the ability to increase the amount of cash for gold you might receive. Pawn shops will typically buy broken and out of fashion jewelry and fix it up for resale. Some highly damaged pieces, such as that kinked serpentine necklace, may not sell to many pawn shops for the simple fact that it cannot be easily repaired. Pawn shops are all about turnaround so many won’t want to invest in costly repairs for little return. If you choose to use a pawn shop for your transaction, if at all possible, don’t take the first offer. Get several estimates from different pawn shops so you can find the best place to make the most cash for gold. Jewelry stores are the ideal place to get the most cash for gold. While mall jewelry stores are not in the market for your broken jewelry, family owned or home town jewelers will love to take it off of your hands. Generally, a jeweler will purchase your tired old jewelry and melt it down to create a fresh new piece that will sell for top dollar. It’s a win-win! You get cash for gold on jewelry you will never wear again and the jeweler can make a penny or two, also!